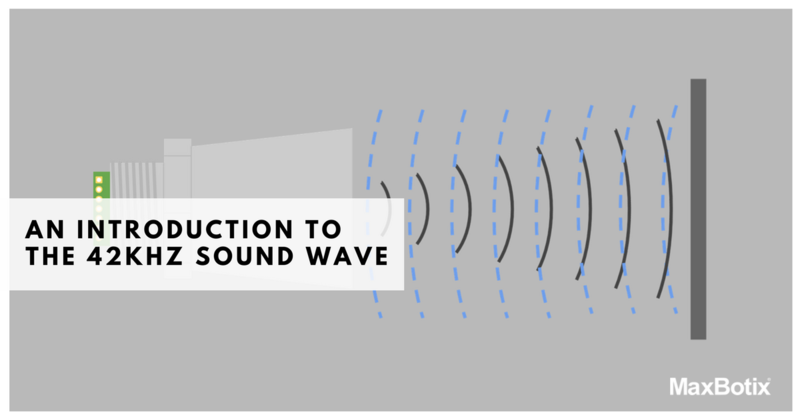 An Introduction to the 42kHz Sound Wave | MaxBotix Inc.
MaxBotix Inc., sensors provide sensing solutions for a wide variety of applications. 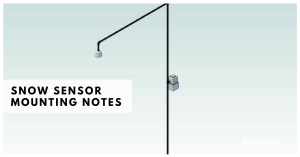 Our Sensor Selection Guide outlines and provides sensor recommendations for many of these applications. We choose to have our sensors operate at 42kHz to help our sensors excel in many of these applications. Different frequencies provide different levels of detection to a number of targets. When operating at the right frequency ultrasonic waves can even pass through solid objects and detect only specified materials. Operation at 42kHz allows our sensors to detect solid and liquid targets with great regularity. Any object, whether solid or liquid, will reflect the 42kHz sound waves back to the sensor and be detected. This prevents the need to buy a special sensor to detect your target, even if the type of target varies throughout the application. Even porous and non-solid objects are detected when placed in front of the sensor. The end result is that our sensors will not ignore objects that are placed in front of them regardless of their visual characteristic. The MB8450 Car Detection Sensor is a low‑cost vehicle detection sensor that uses ultrasonic technology for non-contact sensing. 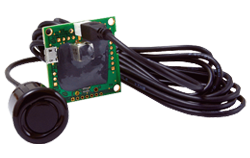 The MB8450 is designed to be an easy to use sensor for applications where vehicle detection is desired. This sensor is great for applications such as vehicle kiosks, ATMs, and bank drive thru’s. 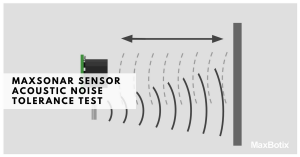 While we do specify specific sensors for separate applications such as “Car Detection,” the 42kHz sound waves do not distinguish between targets made from different materials. We specify sensors to applications such as “Car Detection” only because the sensor was tuned with this application in mind. While the sensor is designed with car detection in mind, it may be a great fit for a host of other applications. Sound waves at any frequency will be able to travel through water or even solids to some extent. 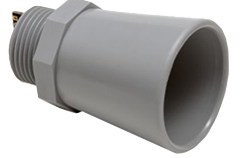 The MaxBotix® sensors are designed for in air ranging. All calculations and calibrations are performed to ensure the open air operation is consistent, reliable, and accurate. The sensors were not created to operate outside of these parameters. We do not characterize the accuracy or reliability of our sensor for any operation that is not done in air, and attempting to use our sensors for ranging through anything other than air is unsupported. 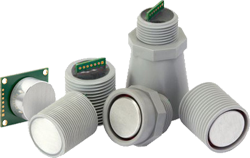 We work hard to provide reliable high-quality sensors to meet the needs of our customer and have created a variety of custom sensors for highly specialized applications. We are glad to work with you, so please ask your sales rep for additional information. This is provided to serve as an easy to use set-up guide for the HRLV‑MaxSonar‑EZ family of ultrasonic sensors, awarded one of the Top 10 Sensor Products of 2012 from Sensors & Transducers Magazine. 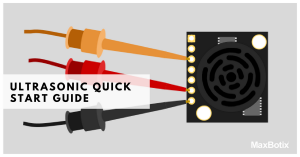 This ultrasonic sensor uses sound to measure the distance to nearby objects and then reports the information through one of the three sensor outputs. MaxBotix Inc has recently released a reliable, high accuracy, and inexpensive sensors for precision snow depth measurement. The MB7334, MB7344, MB7354, MB7364, MB7374, & MB7384 HRXL‑MaxSonar‑WR Ultrasonic Snow Sensors are an evolution of our HRXL-MaxSonar-WR product line. We currently use the 42kHz sound wave on all of our ultrasonic sensors, and this frequency will detect objects regardless of their visual characteristics.